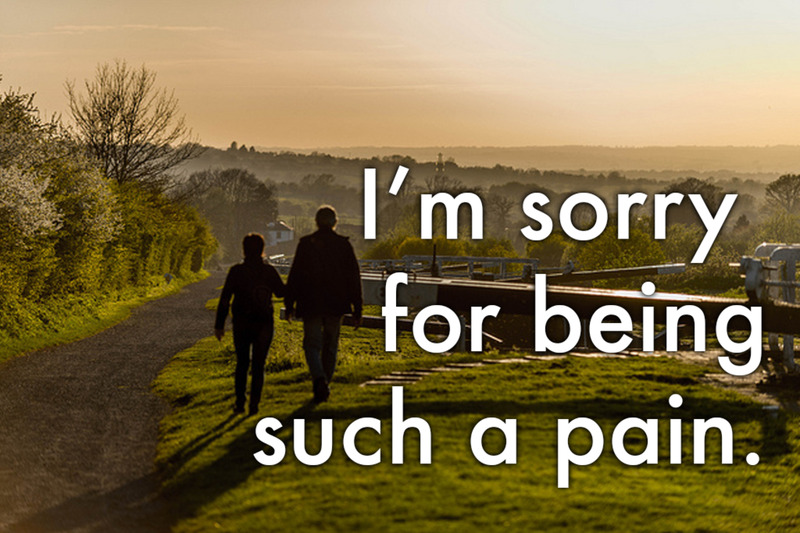 There are few better ways to apologize to your partner than to write a short 'I am sorry' message that touches the heart. So if you have fought or argued with your girlfriend, boyfriend, husband, or wife, read on and take ideas from this article to incorporate into your own heartfelt apology. 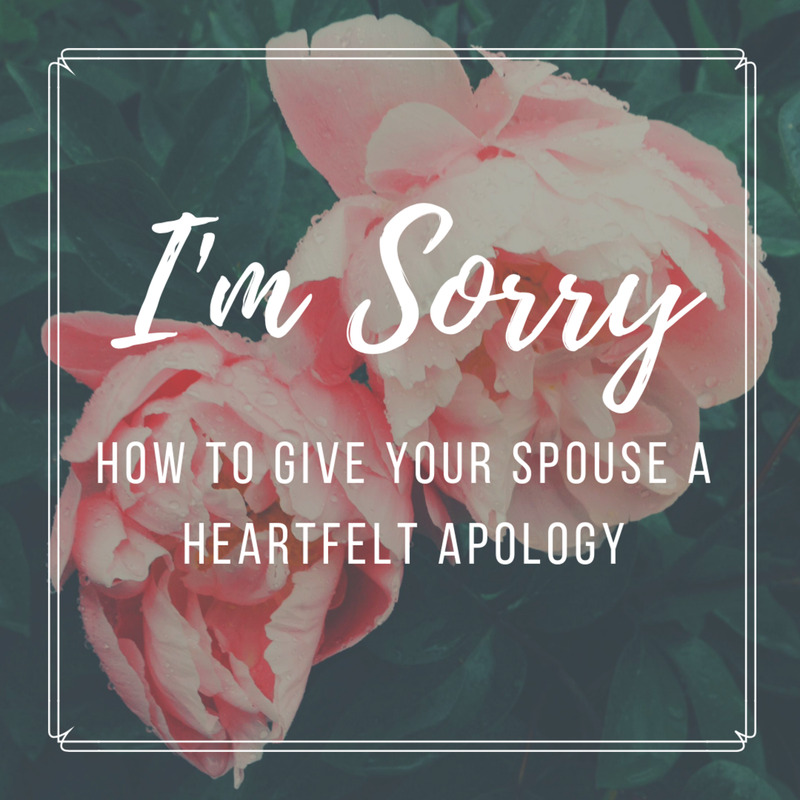 Use them in a card, email, sms, phone call, voice mail, text message, sticky note, tweet, Facebook update, or personally delivered apologies—do whatever it takes to get your partner to forgive you. Apologize and express your love. After all, this is what the message is for. Reassure him or her that you didn't mean to be hurtful. Be genuine. Remember, your significant other knows you. And he or she will be able to tell if you aren't really sorry. 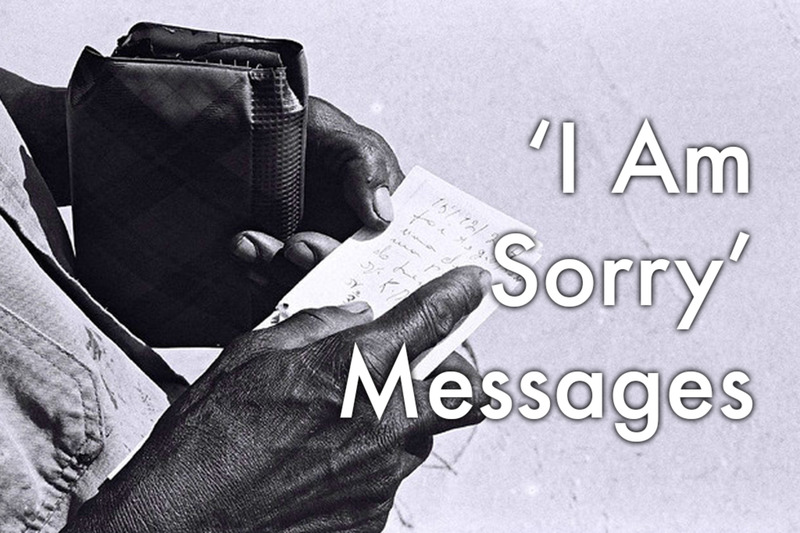 If you're just going through the motions, even the best-worded apology message will not help. Take some time and do something you enjoy to help put you into a positive, more accommodating mindset. I'm sorry. 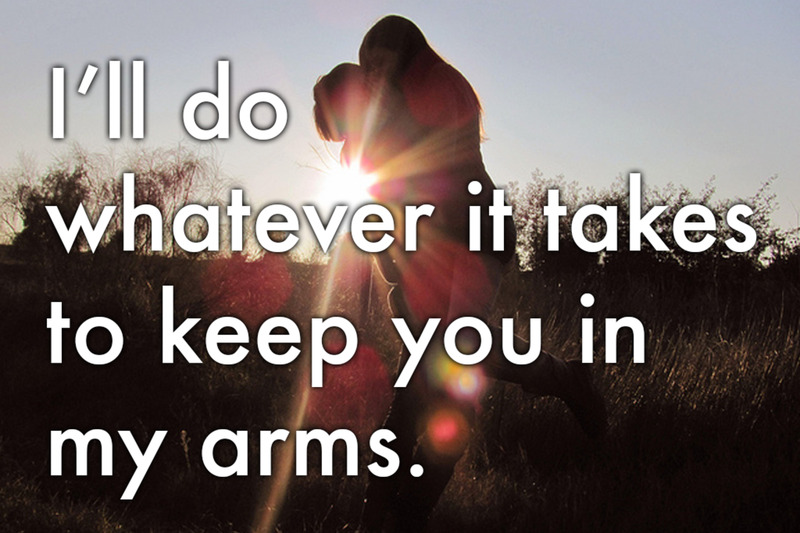 I'll do whatever it takes to keep you in my arms. I'm sorry for being such a pain. 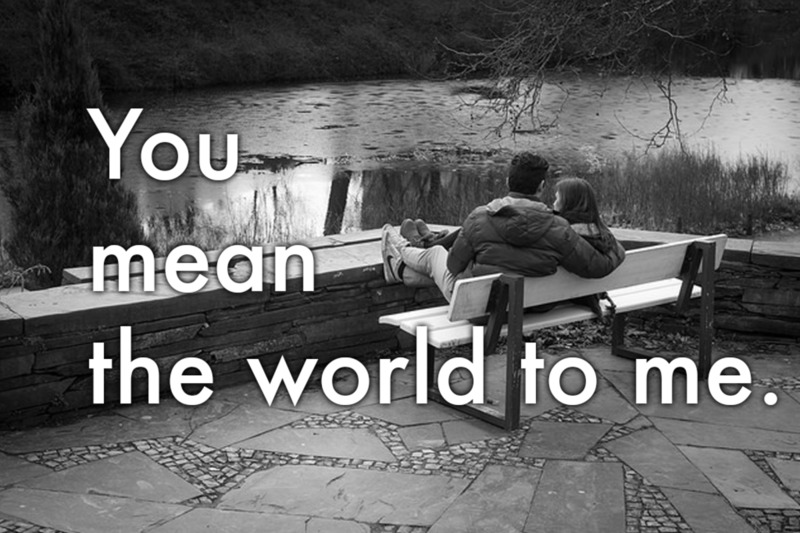 1) You mean the world to me, and I want to do everything I can to make up to you for last week. I know I've been on your nerves, but that's just because I can't get enough of you. I'm sorry, and I know you will forgive me, won't you? 2) You are the hottest (sweetest, etc.) guy in class and deserve nothing but the most understanding girlfriend ever. I'm sorry for the tantrum I threw yesterday, baby. 4) I am sorry for arguing with you. It's just that I want the best of things to happen in your life. Please forgive me, baby. 5) I know it seems as though I've been ignoring you. I'm sorry. I've been loaded with projects and submissions (or whatever the reason) in the last few weeks, but I promise that we will spend happy, fun, and naughty times after the week is over. 6) I promise I'll think before I speak next time. You know I did not mean any of the things I said to you yesterday, don't you? 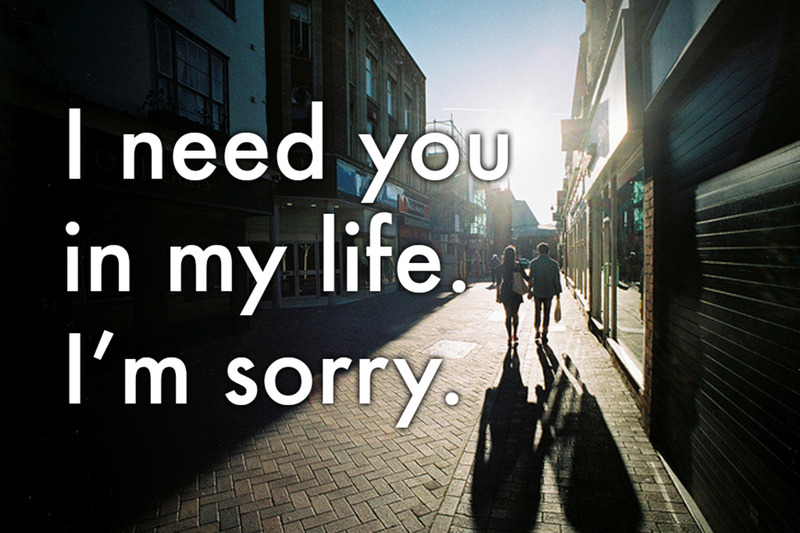 I need you in my life, and I'm very sorry about last night. 7) What do I have to do to make you believe that there's nothing going on between me and the new guy at work? I'm sorry I have not kept you in the loop of things recently, but I hope you believe me. I love you! 8) You are the sweetest, cutest, and hottest guy I know, and I will do anything and everything it takes for you to forgive me. I'm sorry for what I did, now let's make up with a kiss! 9) I'm sorry I've become so jealous and possessive about you. It's only because I'm afraid other girls will pounce over hot stuff like you! But I promise not to get worked up and lose my temper again the way I did yesterday. 1) I feel like the worst person in the whole world. I'm truly sorry for shouting at you, and I promise I'll never do it again. Forgive me, babe. 2) I'm sorry for getting angry at you for no reason. I'll do whatever it takes to keep you in my arms, beautiful. 3) I'm heartbroken and can't believe I lied to you. I know I will never be able to make it up to you. But at least let me try by accepting my apology. I am sorry, sweetheart, I will never do it again. Ever. 4) I'm really sorry if anything I did at the party last weekend offended you. I didn't mean to hurt you. You will forgive your darling boyfriend, won't you? 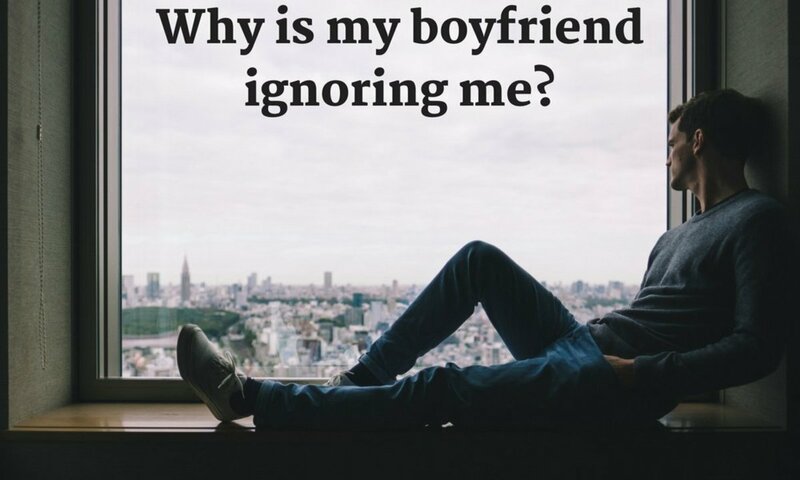 5) I didn't mean to be such a possessive boyfriend. It's just that I love you a bit too much. I promise to tone my behavior down. I'm sorry, sweetie. 6) You are the girl of my dreams, and it pains me to see you cry. 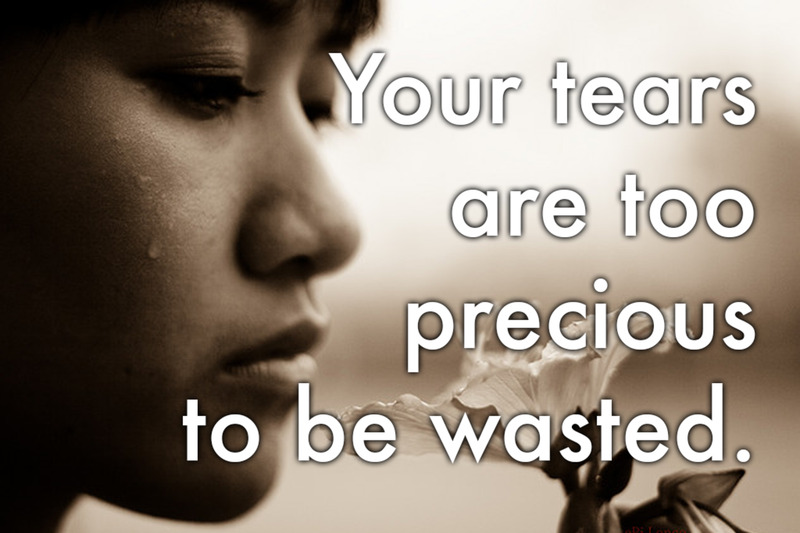 Please accept my apology and give me a smile, because your tears are too precious to be wasted. I'm sorry. 7) I know you are angry right now. But when you get a moment to reflect on what has happened, I want you to think about all the good times we've had, all the happy memories we've shared, and what the future holds for the both of us. I'm sorry sweetheart, and I hope you can forgive me. 8) I don't know what to say but to apologize for being such a jerk. I hope you look beyond this mistake and forgive me. Love you, babe. 9) I'm sorry for being a bit clingy. It's just that I can't stop thinking about you! 10) I will not stop pampering you until I see that beautiful smile on your face again. I will do whatever it takes to show you how sorry I am. Forgive me, baby. 1) I'm sorry for being demanding, and I hope you will take me back in your arms again. 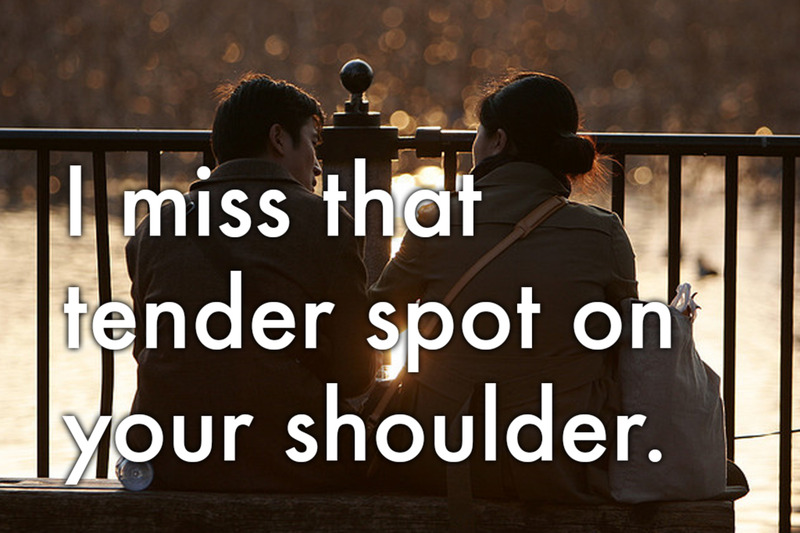 I miss that tender spot on your shoulder, honey. Forgive me? 2) I am the only one who needs to apologize for the troubles we've had this week. I'm sorry and I hope we can get back to being the happiest couple in town. I love you. 3) I shouldn't have been so angry when you came in late last night. I've fixed a delicious brekky for you and look forward to spending a lovely evening with you after we're both back from work. Love you tons! Forgive me, darling. 4) Sorry for being such an annoying b***h the other day. But remember, this b***h is all yours. Forgive me, won't you? 5) I don't know what has happened to me. I know that I've been acting strange and have been very annoying. I'm sorry, darling. 6) I'm sorry for being such a pain. I honestly didn't mean to insult you. Forgive me quickly, so I can pamper you and show you a good time inside and outside the bedroom! 7) It breaks my heart to see you sad. I know times have been tough and I have not been supportive enough. But let's put that behind us and look forward to happier times ahead. I'm sorry, honey. Please forgive me. 8) I'm the only one responsible for all the bickering we've gone through in the last few days. I'm sorry. I hope I can make the rest of the week better. 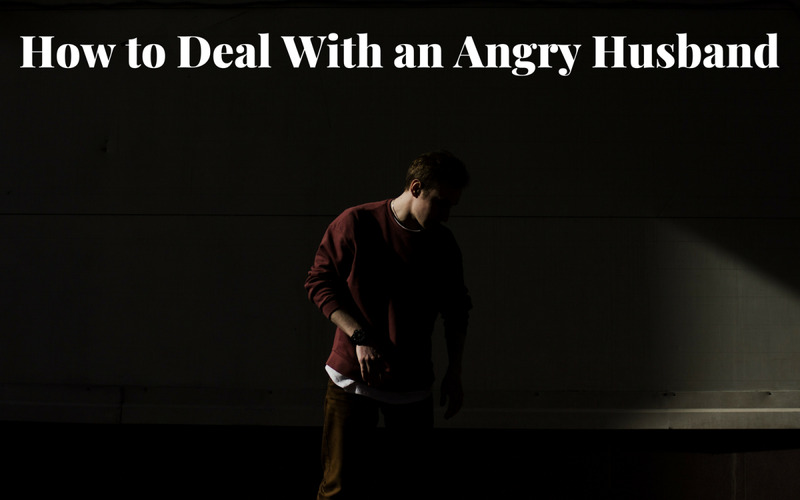 9) I don't know how to apologize to you after all the outbursts, shouting, and screaming. All I ask of you is to forget the last few months and look at them as a small bump in our otherwise blissful life as husband and wife. I'm sorry. 10) I accept that I caused the arguments we've had recently and I apologize for it. But can you imagine a life without arguments and fights? It would be a dull life, don't you think? So please accept my apology, and you can thank me later for bringing some colour into our married lives. 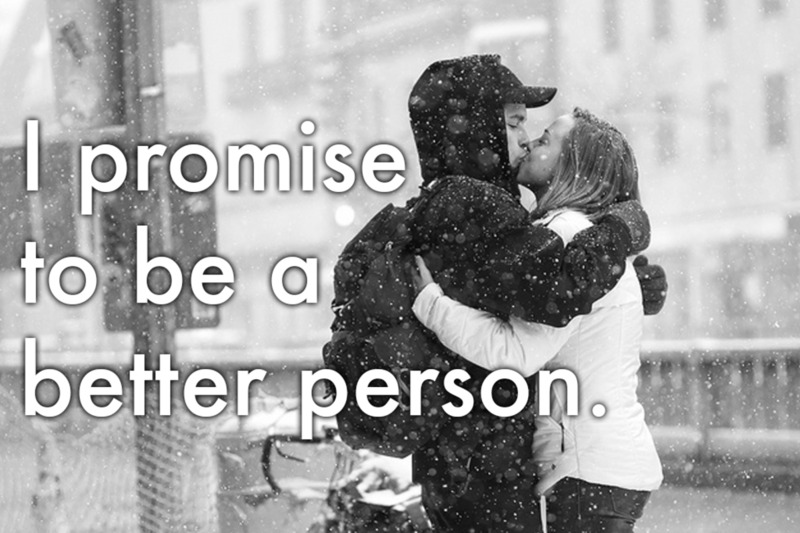 1) I want to make things better. At its best, our marriage is the greatest in the whole world, and I am willing to do what it takes to work through this rough patch. 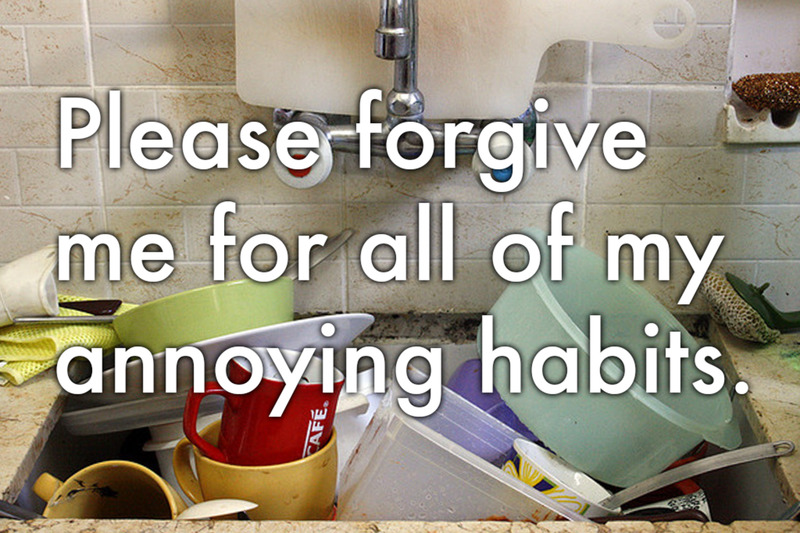 Please help me, honey, and forgive me for all of my irritating habits. I'm sorry, and I love you from the bottom of my heart. 2) I think I've taken you for granted over the years. Now that we've been apart for a few weeks, I've realized how my life is incomplete without you. I've learned my lesson; please come back. I'm sorry! 3) I shouldn't have gone to the races, especially after all that is going on. I'm sorry, and I promise not to be so inconsiderate ever again. Please forgive me. 4) Today I've decided to stop blaming you for all our problems, because I've realized that I've not been taking enough responsibility. I'm sorry, and I want to put an end to all the fights and arguments. 5) I know I've been far from a true gentleman. But today I'm taking the first step to being the man of your dreams by writing this apology. I'm sorry for not spending enough time with you. To begin to make it up, I've planned a romantic evening for the both of us. 6) I am amazed at how you put up with my bad habits day after day. I promise to try to be a better person, and I hope that you forgive me for yesterday, a small hiccup in our otherwise beautiful and happy married life. I'm sorry, honey. 7) I know there is nothing I can do to make up for my behavior over the last few weeks. So I got a gift for you. Hope you like it and will forgive me because I love you, and you know it's true! 8) The world's most beautiful wife deserves the world's most tender apology. I'm more sorry than I have ever been. Forgive me darling. 9) Unlike other husbands, I have never forgotten to wish you a happy birthday nor have I ever forgotten any of our anniversaries. So keep that in mind and please forgive me for lying to you about going to the game. I'm sorry, honey; I love you! 10) Don't forgive me just because I'm saying sorry. Forgive me because I love you and don't want to waste a single moment of our time together fighting. Truly yours, now and forever. If you are married or are living with your partner, leave sticky notes on your partner's pillow, the bedroom desk, the fridge, the bathroom mirror, and any other place you can think of. Let your partner see your apology in every nook and corner of the house. If you think that you need to make your apology extra special, say 'sorry' with a gift. 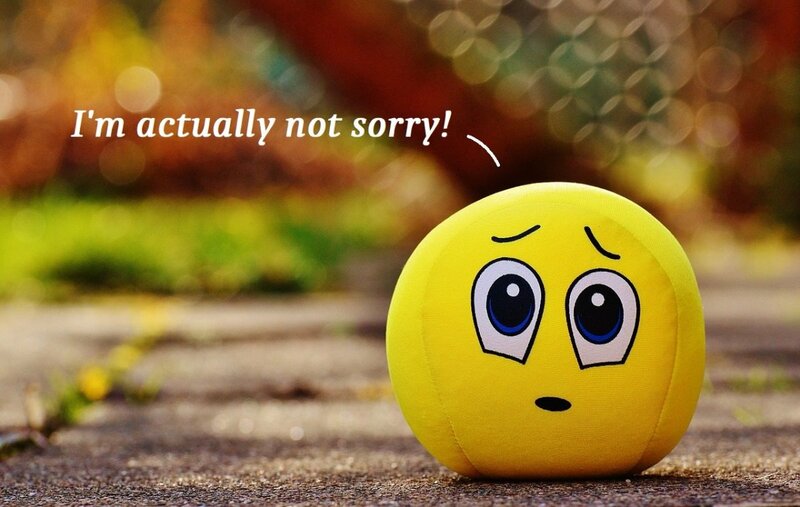 Put an 'I am sorry' wallpaper on your partner's computer, cell phone, laptop, and any other device he or she uses daily. Send him or her flowers or chocolates. Cliché, but it's a trick that has never gone out of vogue, and it still works. Thanks very much for the tips. yes this are some of the best that solves my problems .. I wish I could have said and heard these things over the last 43 years but I'm married to a narcissist and I have CPTSD and ADHD. Now I can't believe a word he says and an apology is never going to happen. But thank you for the good tips I can use for other and future relationships! Hey great people I strongly recommend this great hacker today’s Hackneypaul51 @ Gmail, she also helped me out.. I was able to read all the messages she has been sending and also check her snap and saw her and a guy when they went Clubing, and when they were also having fun and all i read there text also when she told the guy to come over to the house so they could spend the night together after seeing all this i was fucked but Hacksolve9 via gmail. com did a very smart job for me thank you. had tried someone before bit didn't work out with hacking , I didn't know he did , but when I tried it with HACKNET 200 AT GMAIL DOT COM and it worked , I narrated my own story to him that's when I learned that he had tried and failed with some sort of random hackers. Why not reach out to H A C K S O L V E 9 A T Gemale dOt comE......she is indeed incredible I got my cheating husband messages and mails, which made me know he was about to sell off out restaurants because of a lady he met online. I’m so much grateful....thanks..
please read this its so important Charliehacktivist at G mail dot com helped me with my credit score. I didn't even have enough money to pay him but he helped me secure a loan to my account to do the job for me... Now I'm giving this testimony from my first house which I wouldn't have got without his help. You can contact him also, I'm sure he would be able to help you too... Try him out and thank me later.. Thanks to this web hacker, you are the best... i always thought all hackers online are fake or cheaters until i met him, i got discouraged when he asked for some certain amount first...but reluctantly i did and now i am a free from all my troubles, i recommend him for every hacking job CHARLIEHACKTIVIST a t g m a i l d o t c o m..
please read this its so important Hacknet107 at G mail dot com helped me with my credit score. I didn't even have enough money to pay him but he helped me secure a loan to my account to do the job for me... Now I'm giving this testimony from my first house which I wouldn't have got without his help. You can contact him also, I'm sure he would be able to help you too... Try him out and thank me later..
please read this its so important HACKNET200 AT GMAIL DOT COM helped me with my credit score. I didn't even have enough money to pay him but he helped me secure a loan to my account to do the job for me... Now I'm giving this testimony from my first house which I wouldn't have got without his help. You can contact him also, I'm sure he would be able to help you too... Try him out and thank me later..
had tried someone before bit didn't work out with hacking , I didn't know he did , but when I tried it with Hacknet107 AT GMAIL DOT COM and it worked , I narrated my own story to him that's when I learned that he had tried and failed with some sort of random hackers. 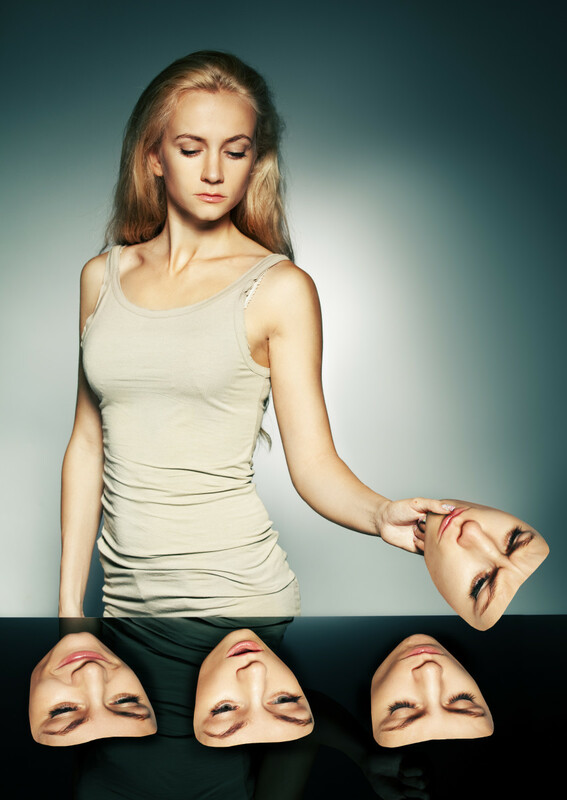 Never underestimate what a man can do in your absence, i had a few warning signs as regards to my husband and employed the services of a hacker, I really couldn't believe my eyes but I'm glad I found out now rather than later. If you require the services of a professional you can reach on to Hackdon005 AT GMAIL DOT COM . I guarantee your utmost satisfaction. Non can be compared to HACKNET107 AT GMAIL DOT COM when it comes to hacking cause i have used him and he delivered the job at the stipulated time. Can you beat that, all through i have been using hackers non has done me such a grate deal. When ever you need accurate hacking job to be executed always remember to contact Hacknet107 AT GMAIL DOT COM. One of these saved my relationship. Thank you so much for helping us how to say sorry that comes deep down from our hearts. They need to know that you're sincere, remorseful and will do whatever it takes to make things right. 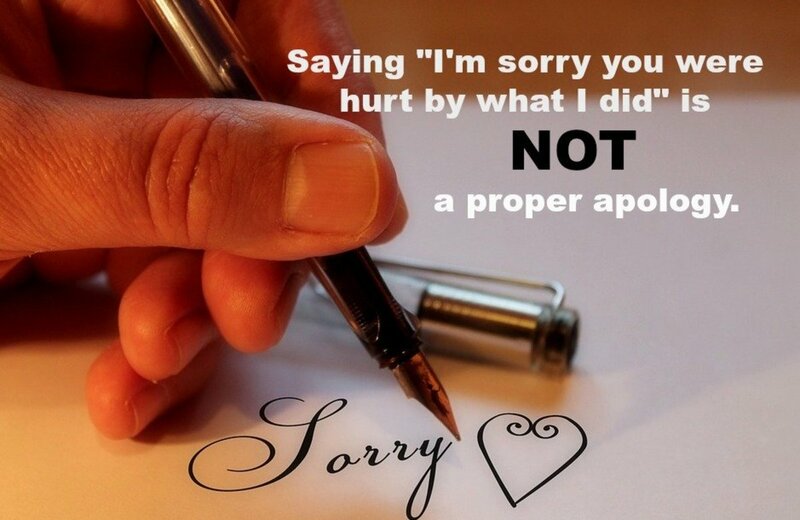 It's best to verbally apologize to your significant other than to write a lengthy letter or text message. They need to know that you're sincere, remorseful and will do whatever it takes to make things right. That is the problem with 'texting' is that it always ends up having little weight, texting is a transitory phenomenon and the worst way to express real feelings, even full emails are not that great. If you want to apologize yo your partner and you can't do it face-to-face. Then do something that people who have been in love for centuries hae done. Grab some paper, get a pen and actually sit down and write a letter. hug your partner and say how sorry you are.make dem feel special by surprises .say how much you love your partner. thanx so much we back on track with my boyfriend wilson.